Archana Seva Tirumala Tirupati Srivari ArchanaSeva refers to the recital of various names of Lord and seeking lord Venkateswara divine blessings for the prosperity of the entire humanity. TTD ArchanaSeva Timings, Tickets Online. also known as Sahasranamarchana. TTD Archana Seva Tickets Booking Online. TTD arjitha seva deals with the recitation of 1008 glorious names of Lord. Various daily sevas performed 1000 more unique name of lord Venkateswara names Chanted by pradana archakas of the temple. Archana Seva Importance, details. Know important feature of this particular TTD Archana Seva is that the divine blessings, Significance of Lord Srinivasa are invoked in the Names and Gotras of the grihastha pilgrims who take part in this seva by paying the requisite amount. Pilgrims can get great blessings from the Lord. TTD Archana Seva Ticket online booking check availability released Quota slots. TTD Archana Seva tickets booking online starts now. Check the Tirumala Archana Seva tickets availability, price and experience details. 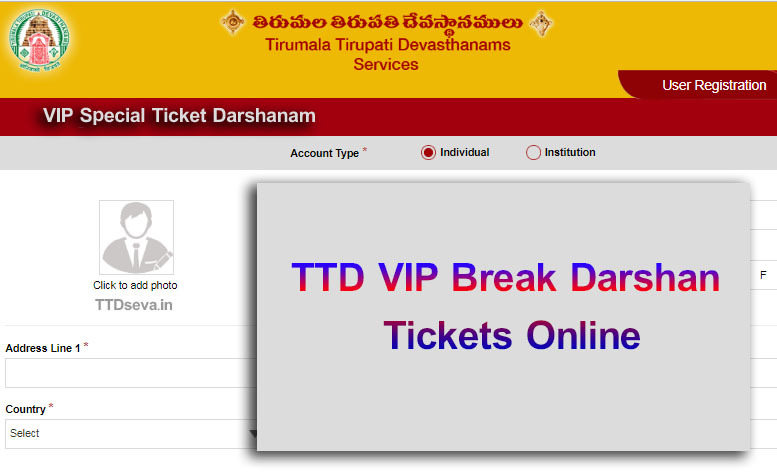 TTD Portal TTD Seva Online website was going to release the Arjitha Seva tickets in online on every first Friday of every month. Interested devotees can book their tickets online. due to the heavy crowd, tickets are booked very speed. Archana, Thomala are the most revered sevas and hard to get tickets. pilgrims often end up paying many times more money to get those tickets in black. Never recommended that way. Know more Archana Seva Details. Tirumala Tirupati Srivari Archanaseva pooja, 1000 unique names of Lord Venkateswara are chanted by Aradhana archakas of the temple on Archana times. This ritual is performed in the presence of 200 devotees daily morning time. After that, each ticket holder gets a chance to take the blessings from the main deity. 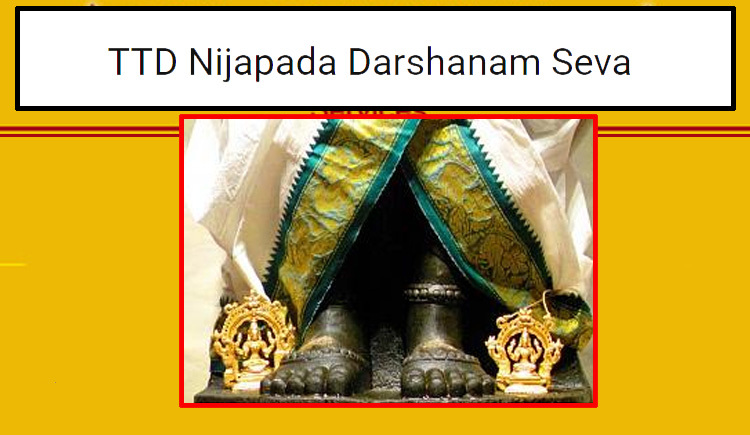 devotees can get direct blessings very closest way to Venkateswara swami. On Occasion of Archana, flowers are placed at the feet of Lord Venkateswara while reciting his 1008 names. Many of the devotees bring the holy book consisting of these Sahasranamas and recite along with the Pandits. Chating all 1008 names loudly, with Pradana Archaks. Generally, the Archana Seva is carried out 3 times a day, out of which 2 are performed in Ekantham and the devotees only allowed in the morning times. 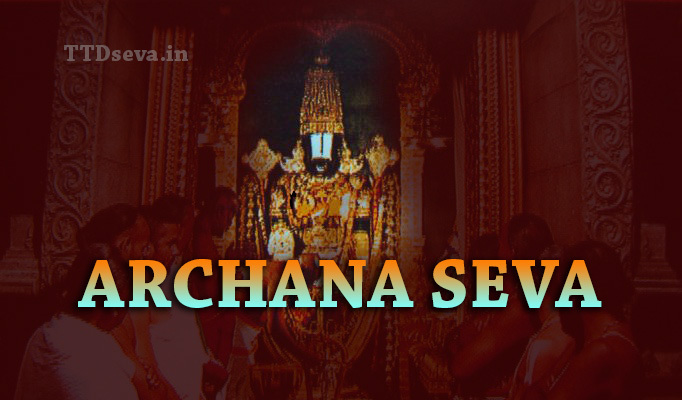 Check TTD Archana Seva Tickets, Book Archana Seva Tickets Availability, this seva is one of the most important daily seva for Lord Venkateswara. Many numbers of Devoted booked tickets daily. In this Archana, Sahasranamarchana is performed for the main deity Lord amidst chanting of his 1000 names. all gathered devotees chanting loudly. devotees are allowed to sit in front of Lord Venkateswara for nearly half an hour and watch Pradhana Pandit Archana. it is really eye feast to everyone. 1,008 names of the Lord are recited slowly and clearly by a pandit. Sound good, it calls vibrations in our body. Inside the garbagriham, another pujari does Pushpa Archana at Lord Venkateswara’s Holy Feet. Archana Seva is one of the most sought-after sevas. 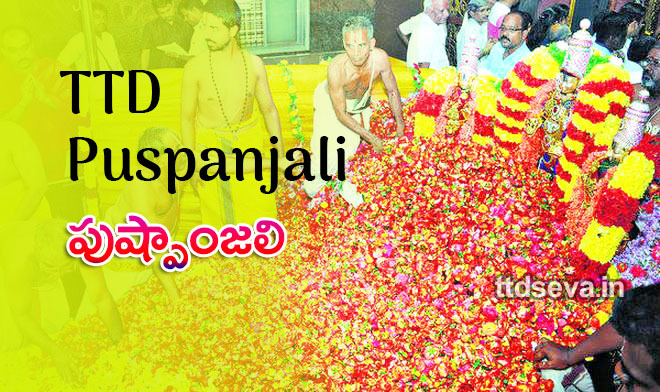 Performed TTD Archana Seva, after completion of Thomala Seva, Archana will start for Lord Srinivasa. Archana is performed for Lord thrice a day. All devotees are allowed to participate only for morning Archana except Friday, Saturday, Sunday and at the time of Brahmotsavam. 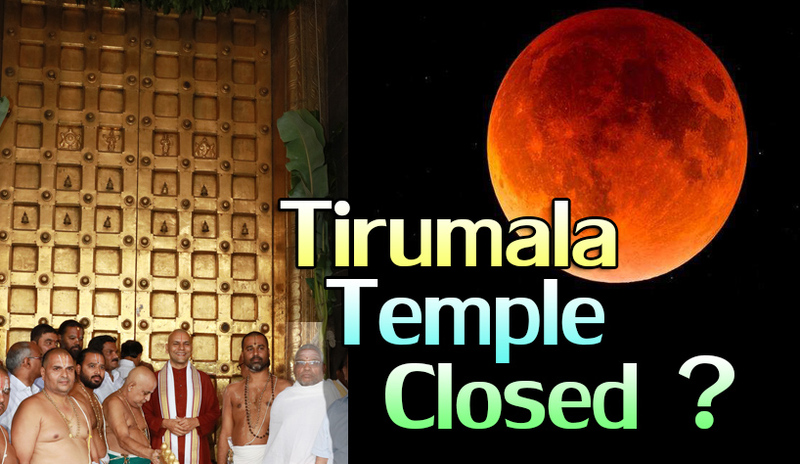 TTD allowed too Book tickets Online, After completion of Thomala Seva, Archana will start for Lord Srinivasa. The second Archana also performed in afternoon times. Archana Seva Lucky DIP Process, There is the lucky dip for Archana booking facilities. Current booking status, Devotees have enrolled their details at Vijaya Bank counter at Tirumala Tirupati for the lottery system. Lucky dip result process in the evening hours. Booking registration Opens up to 08:00 to 05:00 pm. Lucky draw results start from 05:01 pm. The Devotees who get the tickets from MBC 34 counter by paying the ticket cost in 3hours. If candidates failed to book in a given time. Lucky Dip tickets canceled automatically without any intimation. 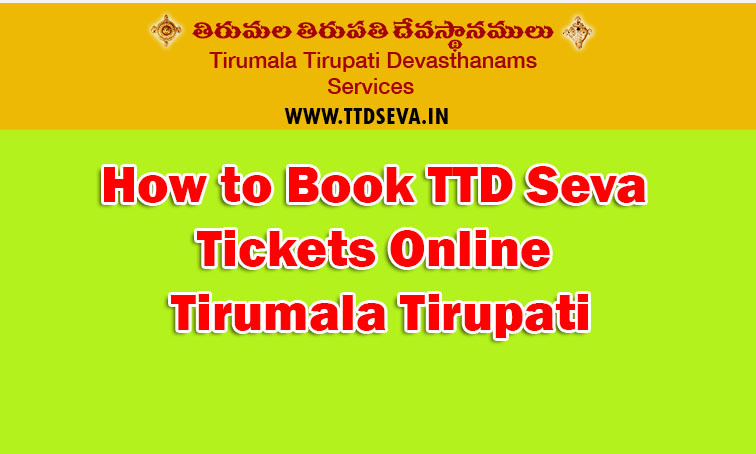 Know about the procedure of Tirumala TTD Archana Seva tickets online services. Devotees need to know about the basic things done in seva. Timings, schedule, Ticket Cost, Dress Code. This is not a voluntary service, but an Arjitha Seva procured at some cost to participate in Poojas done to Idol. ArchanaSeva Timings and Ticket Cost, payment process with Cash, Cards. You can make payment through debit card, credit card,net banking services. This daily seva in Tirumala starts at 4:30 A.M. It takes about one hour for the completion of the ritual. People Gathered before 04:00 pm. The ticket cost is Rs220/- per head and two Laddus will be given per ticket. Archana Seva Daily seva, TTD allows pilgrims only on Tuesdays, Wednesdays, and Thursdays to attend this series. Dates will be changed for the week. On the remaining days including the festivals and other auspicious occasions, only temple archaka’s are allowed to perform the ritual. The full name of this ticket is SahasraNama ArchanaSeva. It is done twice a day morning and evening. Performance time is 4:00 AM & 4:00 PM exactly. Devotees must follow TTD Conditions. Pilgrims must appear in traditional dressing like dhoti & saree mentioned by TTD board. Archana Seva Dress code Saree for ladies. No cellphones, electrical devices, Cameras Camera Watches not allowed into the Temple area. only pooja articles such as flowers, batti etc are allowed in this pooja. TTD provided 2 small laddus per each ticket is given as prasadam. Archana seva tickets holders can get benefits, But the specialty of this seva is devotees are allowed to sit in the inner sanctum of the temple from the first door itself. So they have a nice opportunity to see the IDOL for more than 25 to 40 minutes. They seat in front of Venkateswara swami IDOL. Book Today. Due to the Heavy crowd, Tickets has been closed within 5Days. for more information, follow us on twitter, stay tuned with us. Bookmark TTD Seva Online. If have any questions, Queries discussions feel free to drop a comment below.